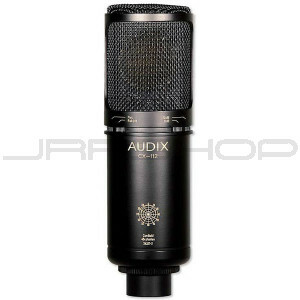 The CX-112 is a true condenser microphone with a contemporary design and excellent performance characteristics. With a rich, full-bodied sound delivered by its one-inch gold sputtered capsule, the CX-112 is a single-patterned cardioid condenser that serves a variety of applications for project studios, professional audio production, and live stage performances. Delivering a smooth uniform frequency response from 20Hz-20kHz, the CX-112 is equipped with switches for 10 dB and a bass roll-off.